One of the biggest expenses at your wedding will be dining. This include hors d’oeuvre , dinner and drinks. 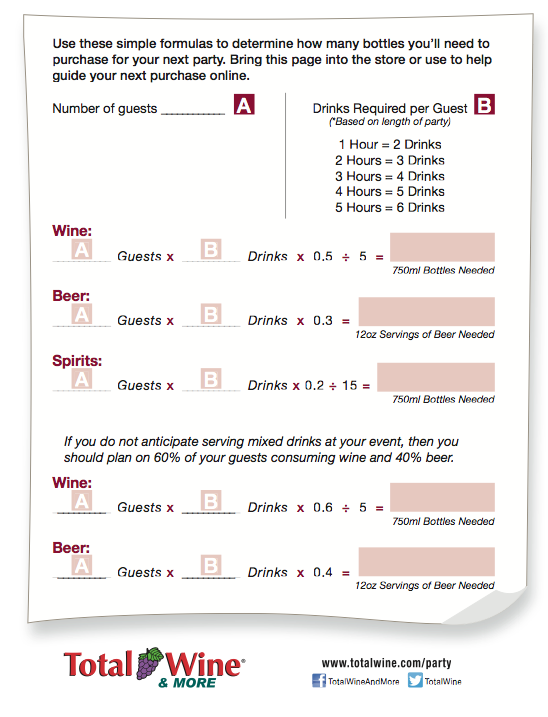 Most caterers charge by the plate, so how do you determine the budget for drinks? Here is a quick guide to help you get started. If you do not anticipate serving mixed drinks at your event, then you should plan on 60% of your guests consuming wine and 40% beer. Use this sheet to calculate how much you need. Or click the link below to auto generate. Posted in Budget Savers, Tips & Tricks	| Tagged budget calculator, how much alcohol should I serve?